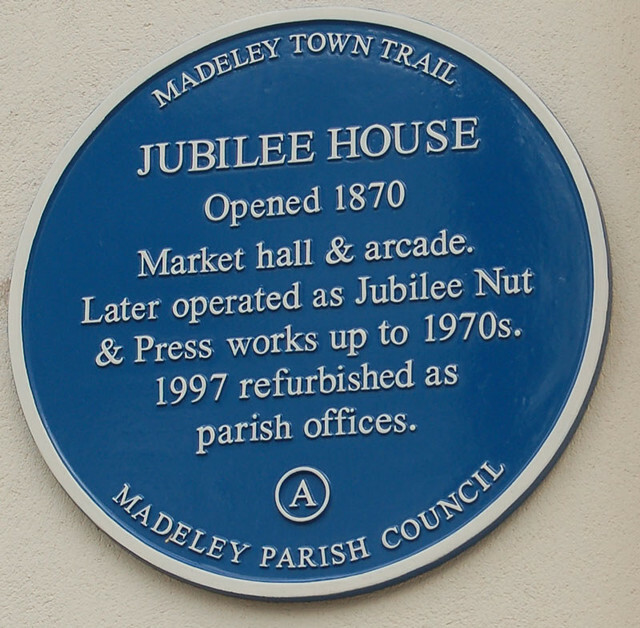 Jubilee House, 74 High Street, Madeley. opened 1870. Market hall & arcade. Later operated as Jubilee Nut & Press works up to 1970s. 1997 refurbished as parish offices.